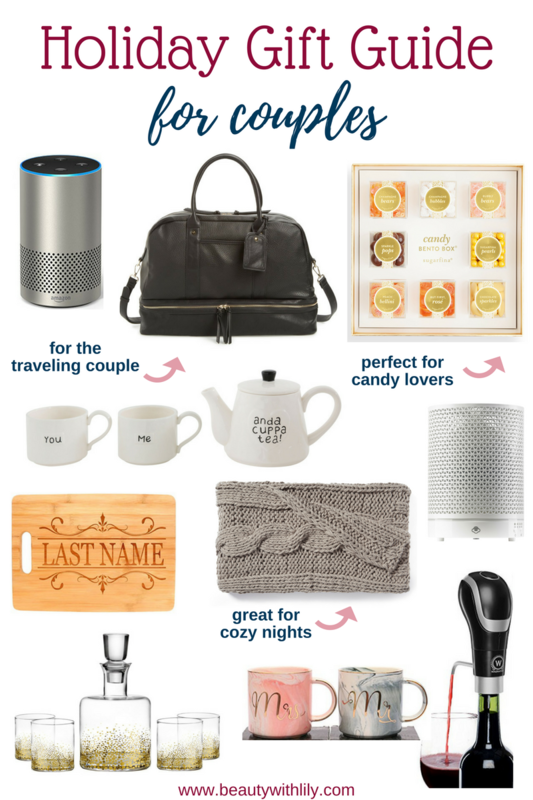 Take the stress away from shopping for the couples in your life — this gift guide for couples has something for everyone at a budget friendly price. Hi friends!! I feel like I’ve been a bit MIA from blogging lately — but life has been so chaotic and on top of that my internet was being super crazy last week, hence why I didn’t get a post up last Friday. I think things are finally better now and we should be go to go! 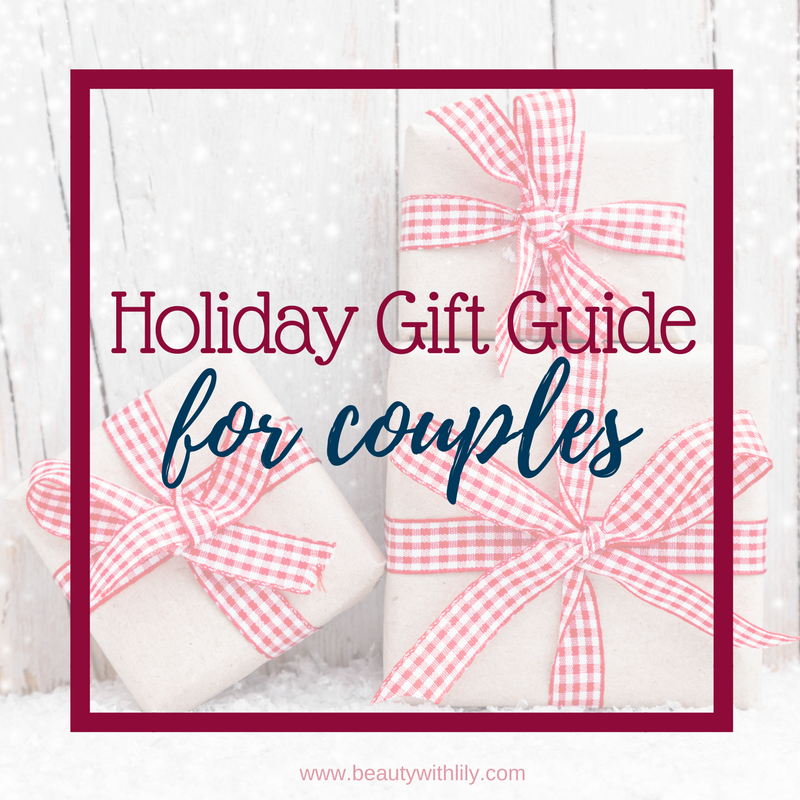 For today’s post, I wanted to share a gift guide for couples — I know sometimes it’s hard to shop for two people, especially when you want to try to find something that will work for both of them. But I betcha this gift guide will be helpful — I’ve covered things for just about everyone and they are all budget friendly too. A good gift for any tech-loving couple would be an Echo and you could pick any color you’d like to go well with their decor. Or, for the coffee/tea loving pair, how cute are these marble mugs?! I’m thinking these will be finding their way to our mug cabinet soon! But if you have a wine lover in your life, then this wine aerator is a MUST have! I’m a sucker for a good personalized gift, so this cutting board would also make a really good choice. Another gift option that you can’t go wrong with is a nice weekender bag. My parents recently gave my husband one and that thing has been used so much already. I hope this gift guide was helpful — I know shopping for just about anyone is rather stressful and chaotic. If you would like even more inspiration, check out all of my gift guides! Are you shopping for any couples this season? What are you getting them? "Simple Red Lip Makeup Look"
"How To Fade Acne Scars With PMD Beauty"